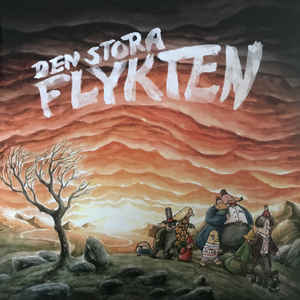 Den Stora Flykten is real pop-music at it´s best. The band was born as their earlier band, Popterror, slowly faded away. On the song Minnesgärdet, Den Stora Flykten has the honor of having Mattias Alkberg as a guest. Who fits better to sing songs about not letting go of the past, to love all your memories for everything else is on loan. The album is also guested by Julia Hanberg from the band Nord & Syd.